The winery where Casa Cesilia wines are currently produced dates back to the estate built by the Marquis of Romana in 1707: Heretat de Cesilia. The “heretats” system was chosen by King Jaume I to repopulate and colonise conquered lands. A heretat was a set of lands united by a criteria of exploitation. It basically consisted of a house, an orchard and an area of land intended for the cultivation of cereals and vineyards. At the beginning of the 18th century, the port of Alicante was considered the most strategic commercial point in the region. The wines from this region, which were increasingly prestigious and demanded by the European elite, were exported in large quantities. 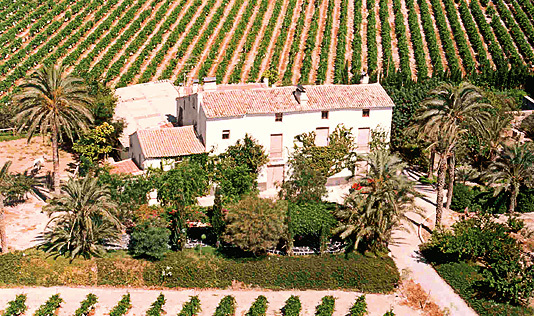 The wines from the Vinalopó Valley were among the most noteworthy wines produced in Alicante, and Novelda was the most important town in the area. The Casa Cesilia farmhouse still sits outside the town of Novelda, in the same place where the Marquis of La Romana saw the birth of his “heretat”. It stretches over four sites in Novelda: Alcaydías, Ledua, La Mola and Sicilia, and is located in a “congost” or gorge, a short distance from the hill of “La Mola”, a mountain and home of the shrine of Saint Mary Magdalene and the castle of La Mola (La Muela). The Arias family acquired this farmhouse in 1984, now home to this ambitious wine-making project. 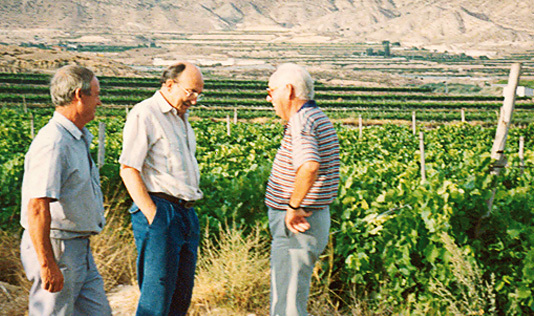 Through an interesting fusion of tradition and modernity, and with a team of highly-skilled professionals, Casa Cesilia wines have become a symbol of the Mediterranean.